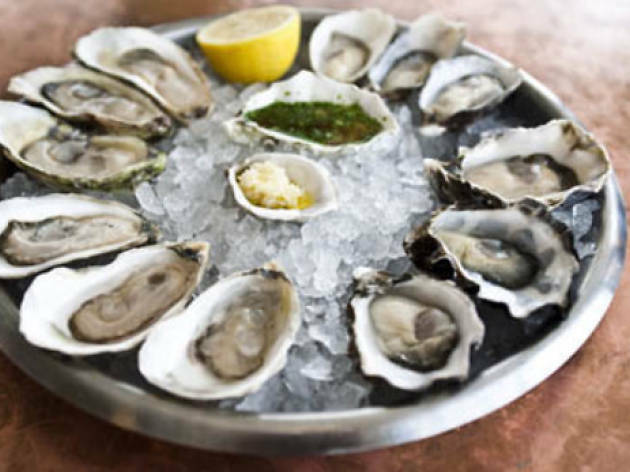 Oyster Week has two equally important components–either attend bivalve-focused events, or slurp some special oyster dishes from your favorite restaurants. 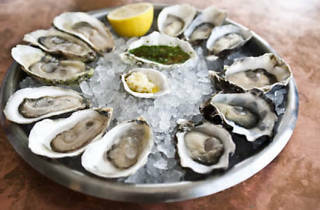 While this year’s events are still pending, restaurants participating with shellfish dishes include Grand Banks serving Blue Point Number 9 Oysters with roasted shisito peppers, cucumber and shiso, Gramercy Tavern with Roasted Island Creek Oysters with peppers & leeks and Grand Army dishing out baked oysters with chipotle, breadcrumbs and lime. You have the date wrong. It was in September.